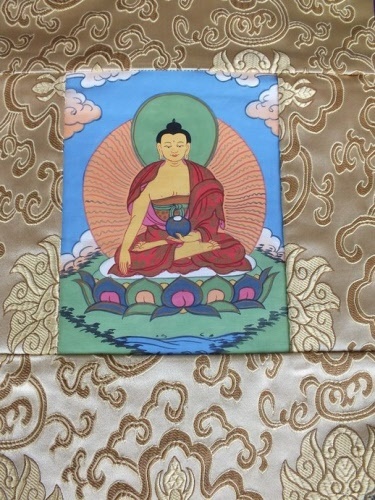 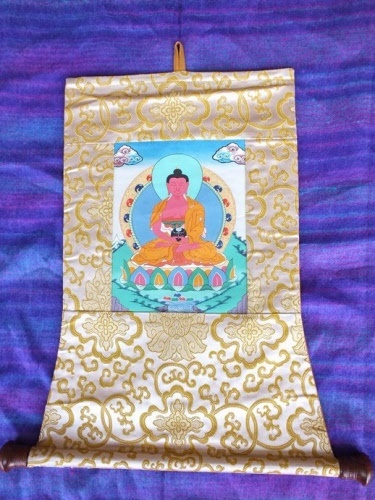 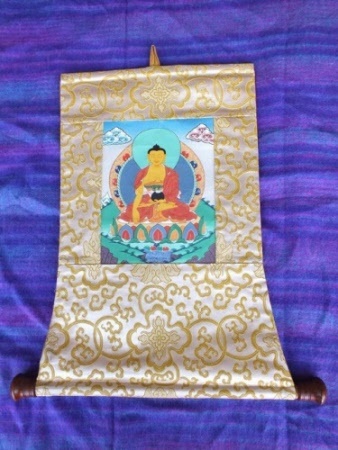 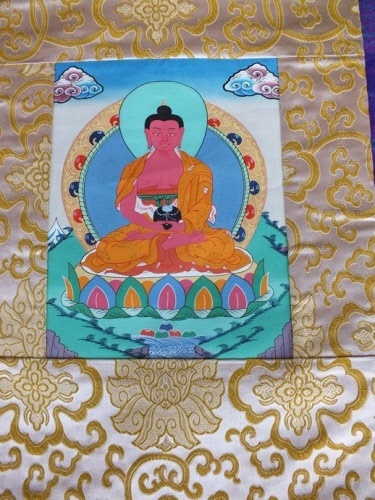 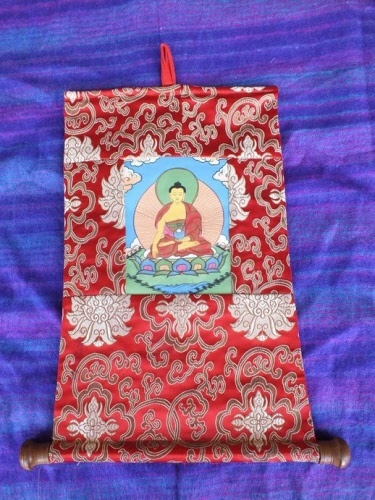 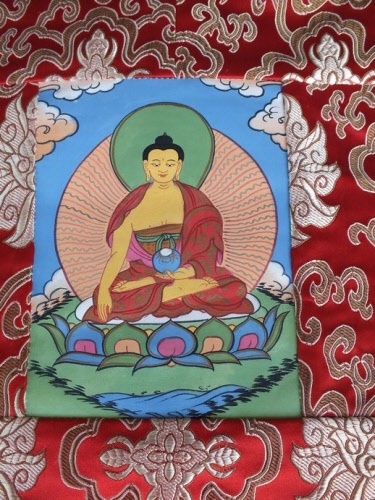 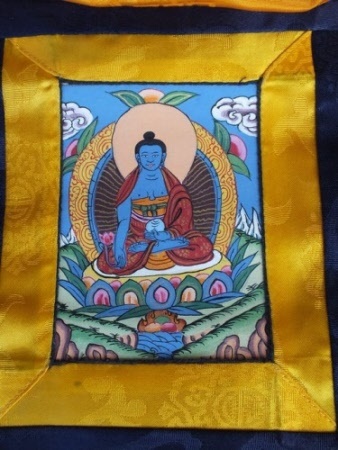 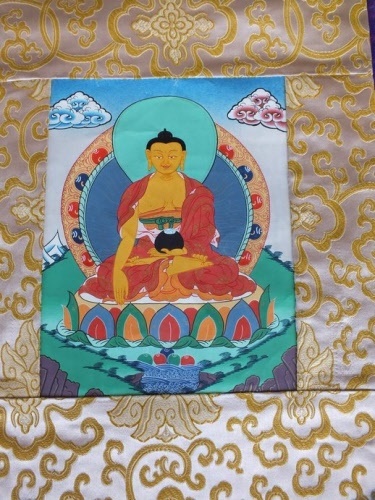 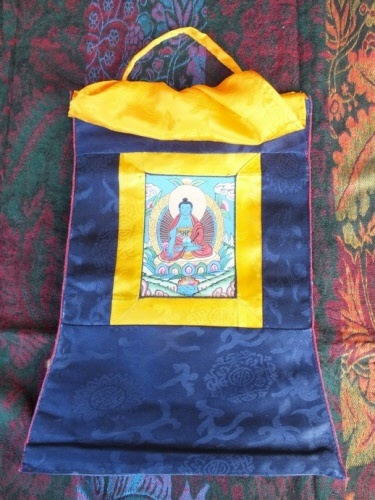 This Thanka is made in Nepal, it has a painted picture of Medicine Buddha with brocade surround. 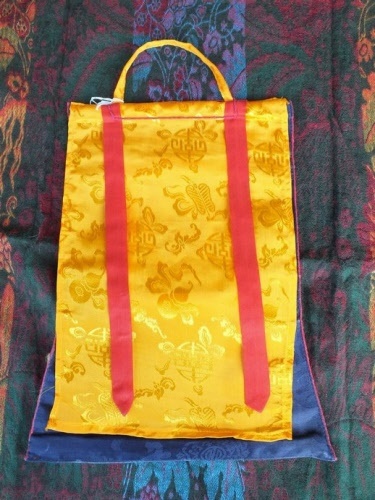 Also comes with cover for when not in use. 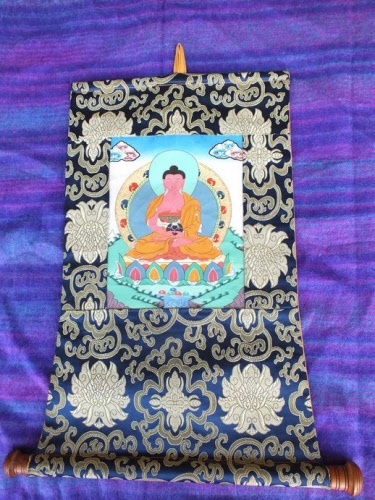 Beautiful Buddha Thanka, the Buddha is hand painted and the outside is made from silk and brocade. 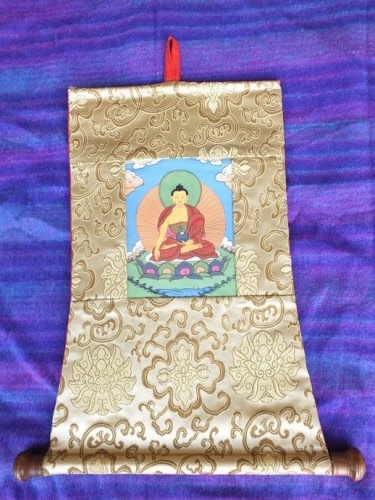 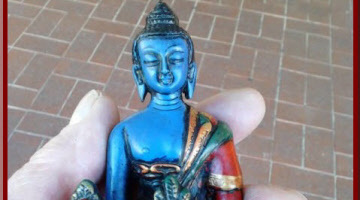 Made in India with much love and devotion by Buddhist artist.